The short answer is: if your plan is working well, you're looking at about 1-2lbs of weight loss per week. Now, when most people see 1-2lbs, they automatically think they should be losing 2lbs/week. Or maybe even a little more. That's nice when it happens, but please recognize that if you're averaging 1lb/week, that's right in the sweet spot too and you should be happy with it. Usually, I'll rephrase the 1-2lbs guideline as: 1lbs/week is our target. Anything above that is gravy baby. And as long we're seeing 1lbs/week of consistent loss, the diet is working (assuming fat loss is your goal). If we're below an average of 1lb/week in a monthly check-in, something in the diet (either it's effectiveness or your ability to stay consistent) is broken, and we need to fix it. Weight loss isn't the same as fat loss. You can lose weight by losing muscle, bone density, or by losing a limb in a freak fishing accident. So, if you can, accurately measuring bodyfat percentage is best. It's going to give you a clearer picture of the changes your body is undergoing. Having said that, if you're significantly overweight, the scale is going to tell most of the story. No need to over-complicate things. Track weight on the scale and check the trend. What About Rapid Weight-Loss Plans? I know what you might be thinking. I've heard of people losing way more weight than 1-2lbs/week. Perhaps the most popular example of extreme weight-loss programs is the TV show "The Biggest Loser" where people often lose 7-10lbs (or more) per week. True, this is possible. But is it desirable? Extreme calorie restriction programs have some major drawbacks. They work well in the short term. You will absolutely drop weight. But you're also going to be losing muscle, and in the long-run, you can lower your metabolic rate. That most contestants gained significant amounts of weight after the show, demonstrating that the extreme methods used in the show were not generally sustainable. And if the plan isn't sustainable, we need to seriously question it's long-term purpose and viability. That the participants metabolic rate (i.e. the amount of energy they 'burn' at rest) had dropped significantly, even six years after the show at the time the article was written. There were also long-term hormonal affects to hunger-regulating hormones, possibly leaving to higher cravings and lower satiety after meals. That means they are less energetic, hungrier versions of themselves. Not fun. For these reasons, I don't advocate major-calorie restriction for weight-loss/fat-loss. Learn What's really in the food you eat. Improving food quality is the first priority if you want to start living with better health, more energy, and improved body shape. Let these videos show you how. What Factors Influence Your Rate Of Progress? Your Starting Weight. The heavier you start (the more you have to lose), the faster it will come off. As you lose more weight, your rate of progress will slow. So don't expect the good times to keep on rolling forever! And if you're already starting out pretty lean (i.e. you only have 5lbs to drop), drop your expectations by about 50% or so (i.e. 0.5-1lb/week might be more realistic). Gender. Typically males have an easier time losing fat, or at least their rate of progress tends to be higher. This probably has to do with the fact that they usually have more muscle mass (which in turns burns more calories), and higher testosterone levels (which promote leanness). Consistency. You can't expect to see fast results if you're not being consistent with your plan. Nutrition is far and above the #1 factor for fat-loss/weight-loss. Very few people can out-train a bad diet and see good results in body composition. Having a Good Plan. This follows from the last point. You need a plan that will be both i) effective (i.e. you're making enough change to see a result), and ii) one that you're able to stay consistent with. There are many effective plans that most people quit after a short period. And there are many ineffective plans that are easy to stick to (if you're currently heavier than you'd like to be, then your current routine would fit into this category). Genetics. Some people seem to have an easier time than others. That's life. It's not an excuse. It just means you've got to play the hand you've been dealt the best way you can. This seems to be the sweet spot. It's sustainable for most people, i.e. it doesn't require massive overhauling (usually) of your lifestyle, nutrition and exercise regime. 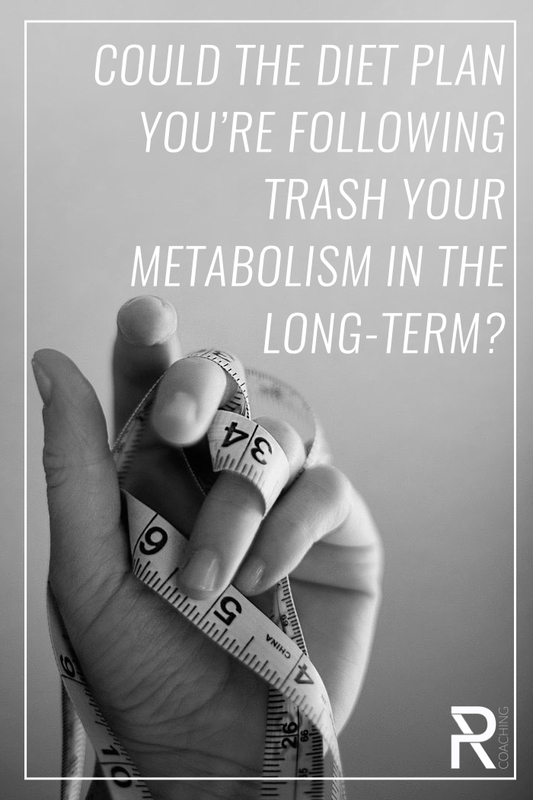 And it's unlikely to trash your metabolism and long-term health. Sounds decent, right?